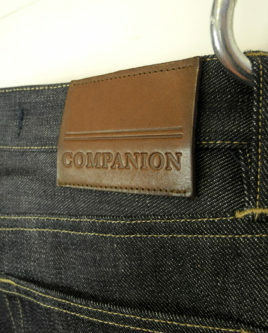 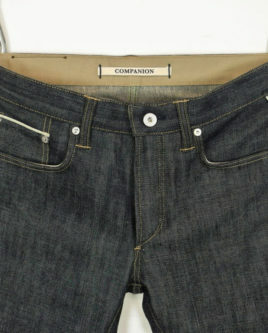 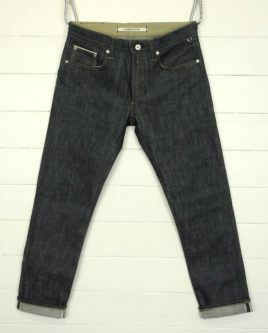 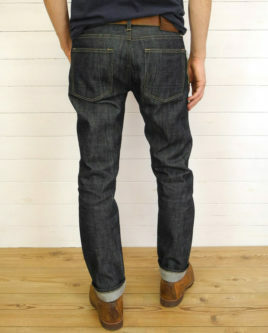 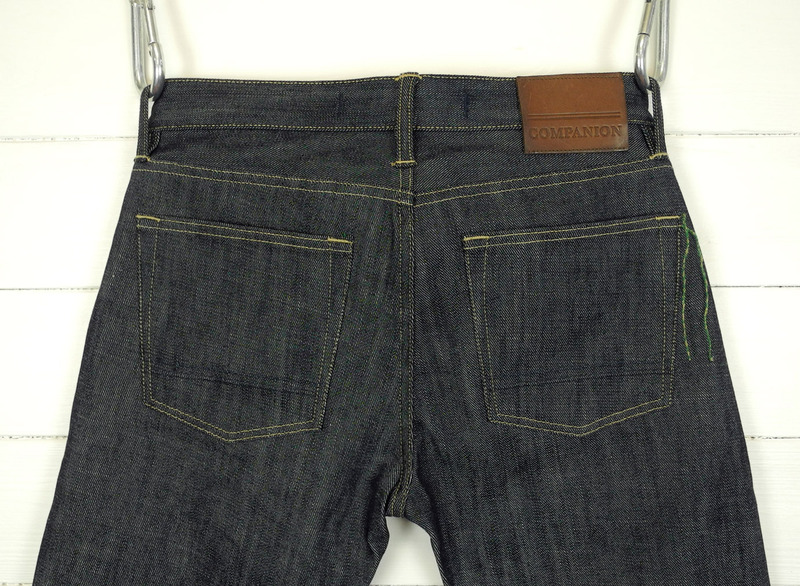 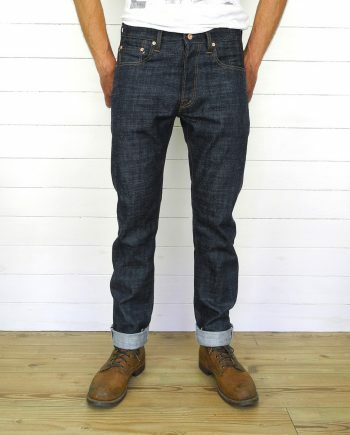 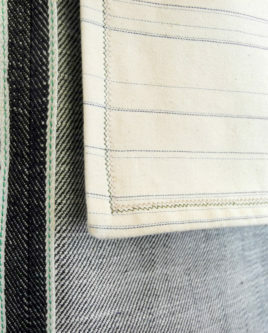 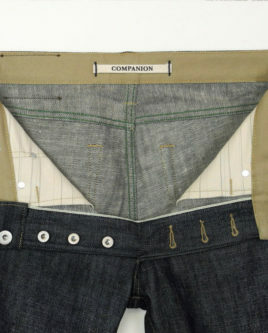 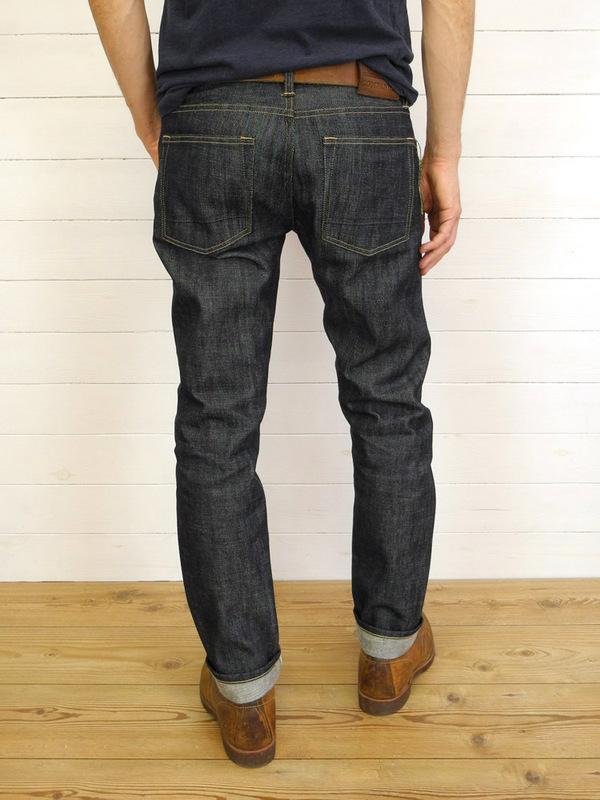 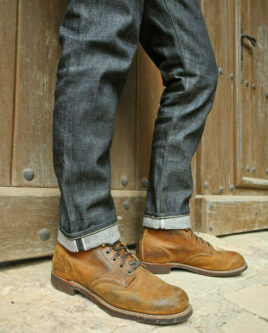 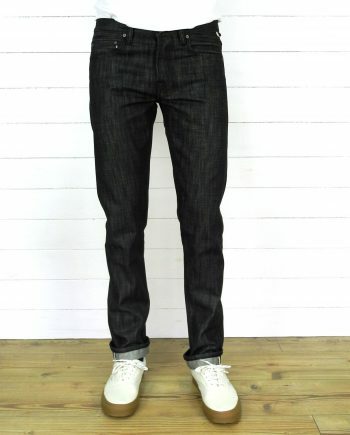 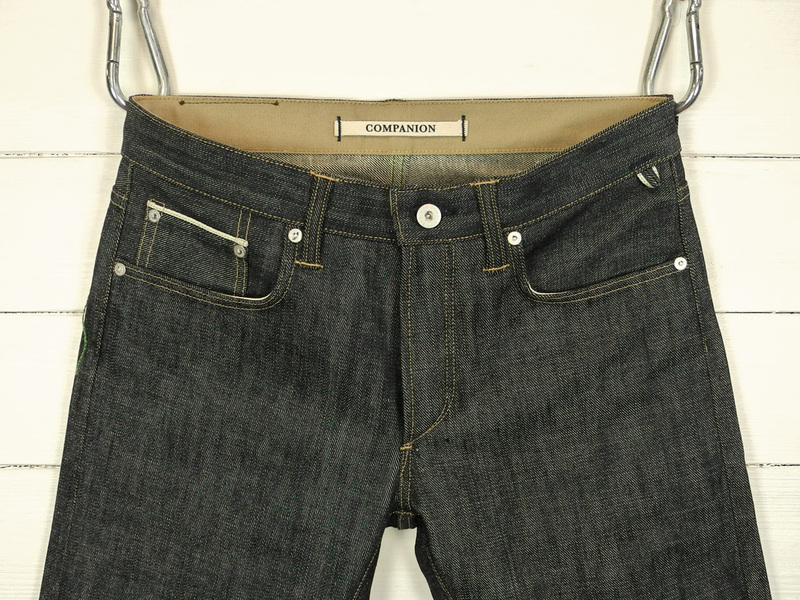 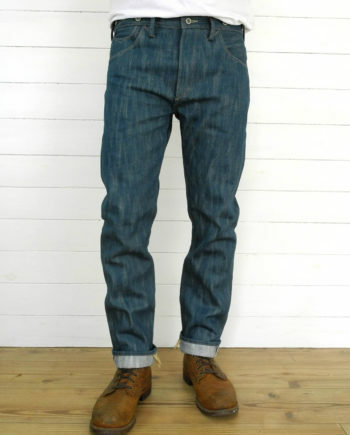 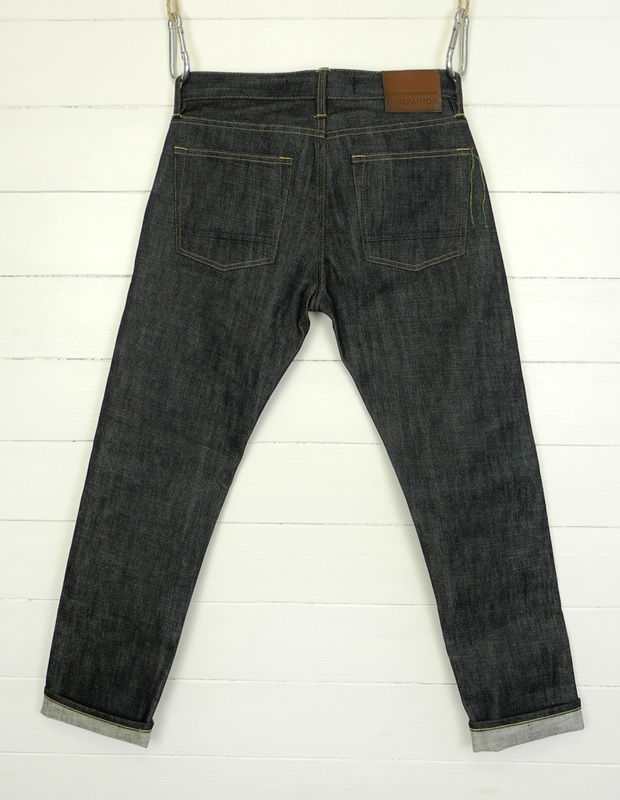 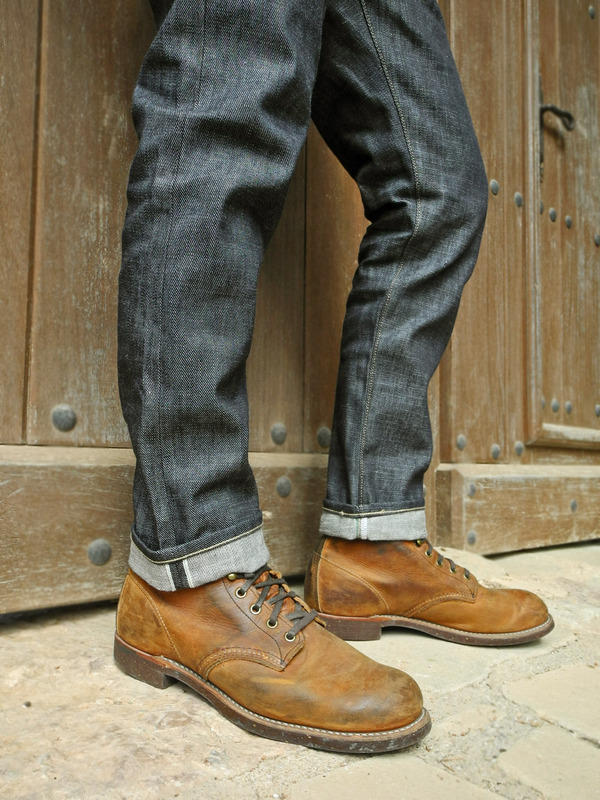 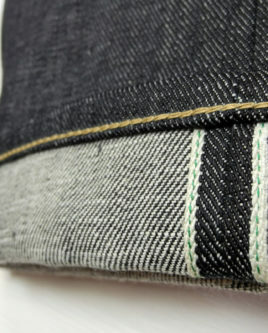 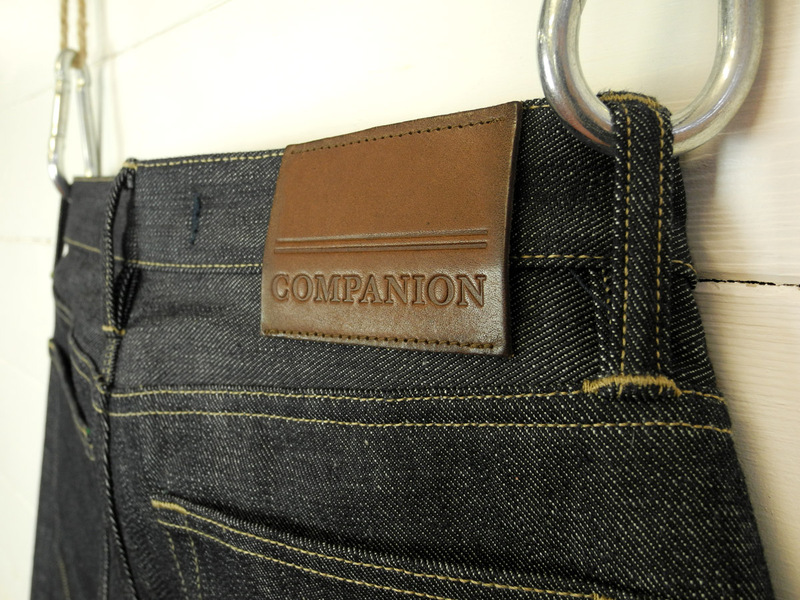 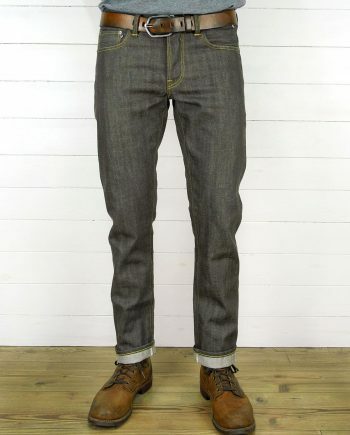 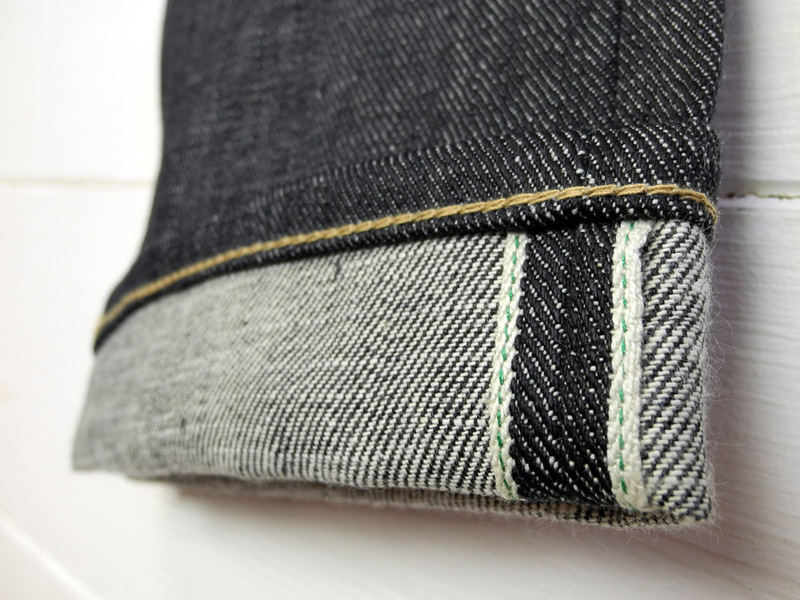 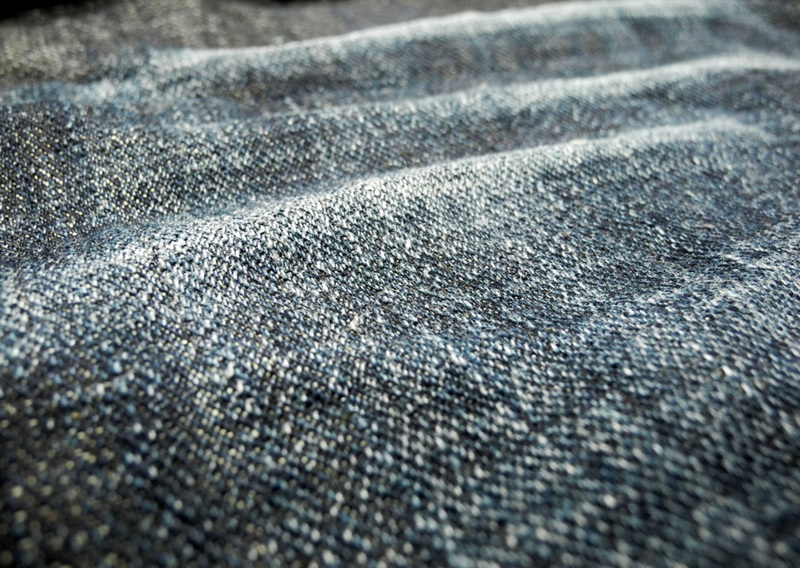 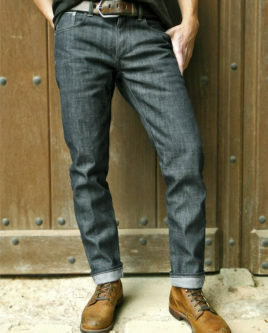 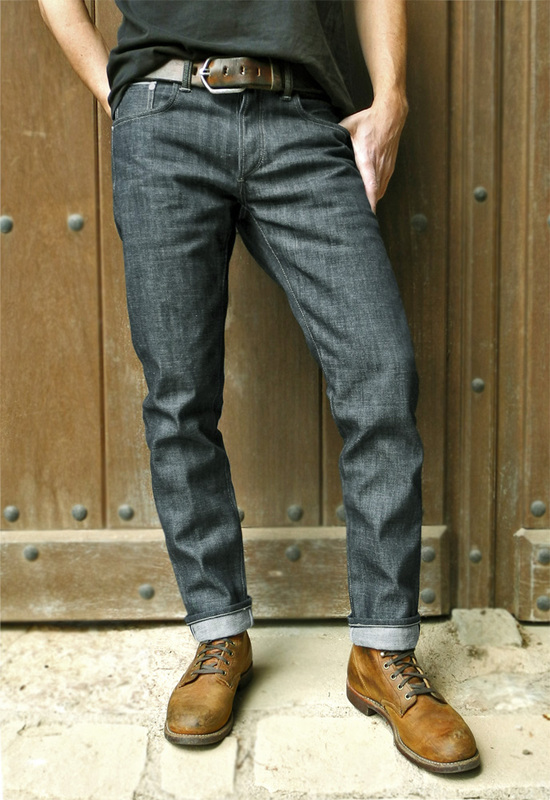 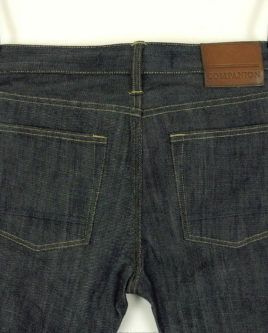 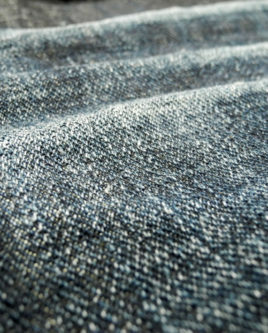 14 oz Left hand twill, selvedge denim. 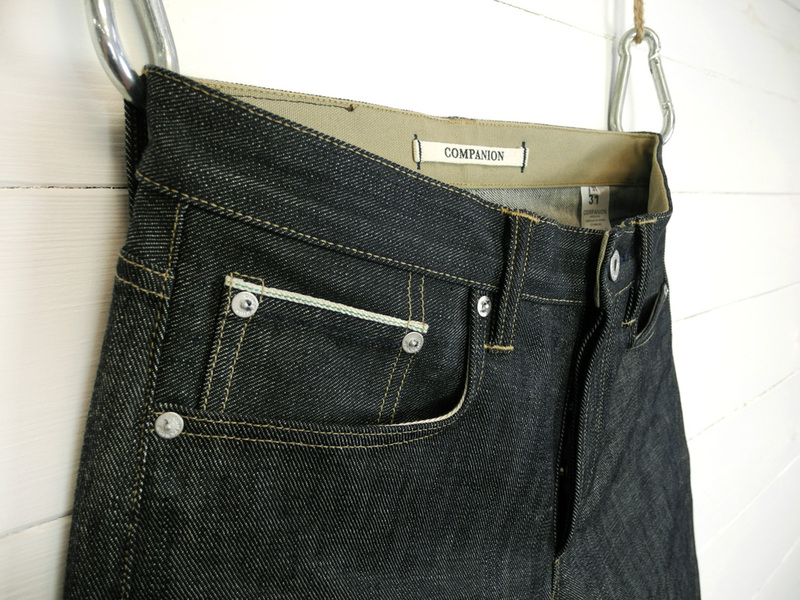 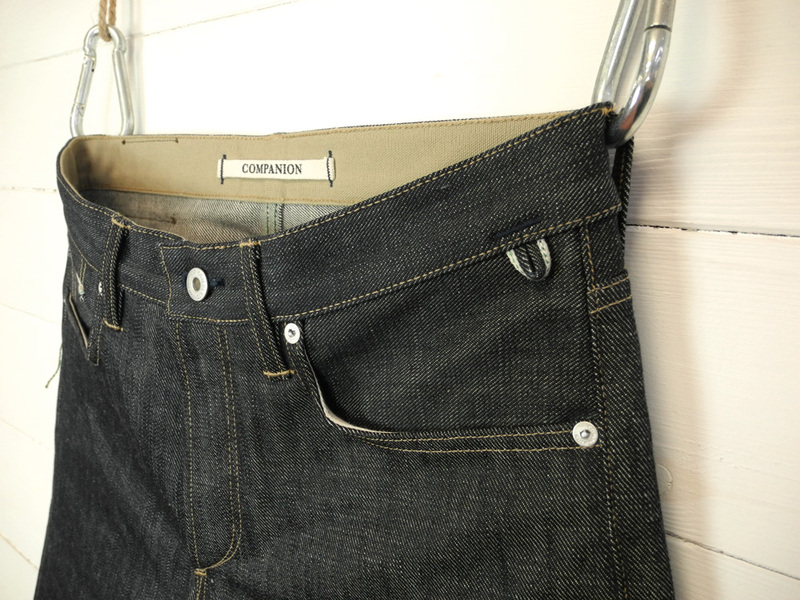 100% cotton.
. Tan duck canvas lined waistband.
. Selvedge key hanger loop.
. One piece selvedge fly.
. Reinforced selvedge coin pocket.
. Cord inserted in beltloops.
. 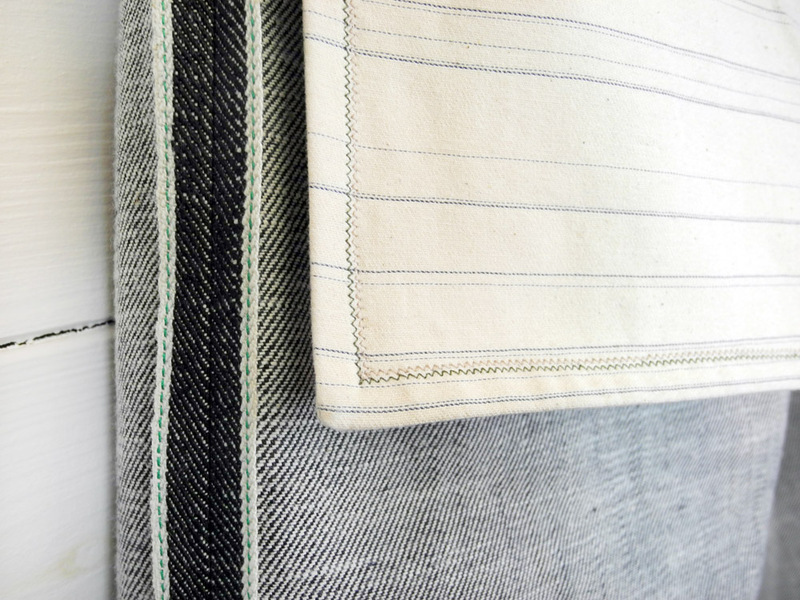 Heavy weight striped pocket bags.
. Companion stripes embroidered backpockets.
. 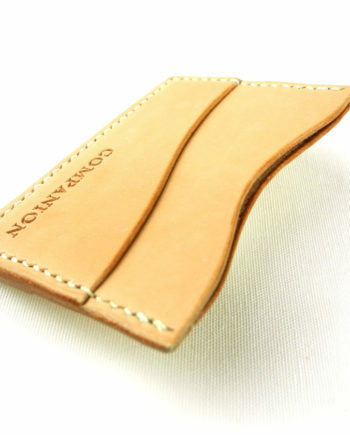 Double Zig zag stitch on pocket bags.
. Coffe brown leather patch.
. 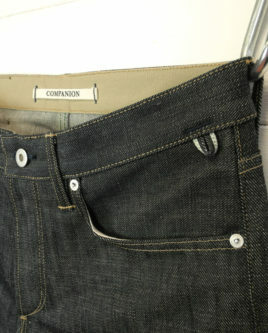 Branded silver finish buttons and rivets. 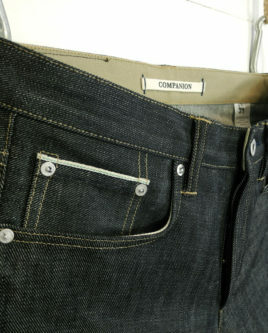 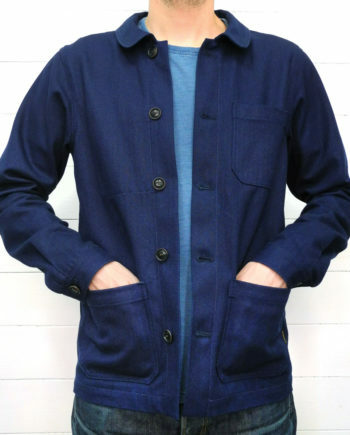 This is style has been produced in a limited batch in two different fits, Joel Slim and Slimmer Hug. 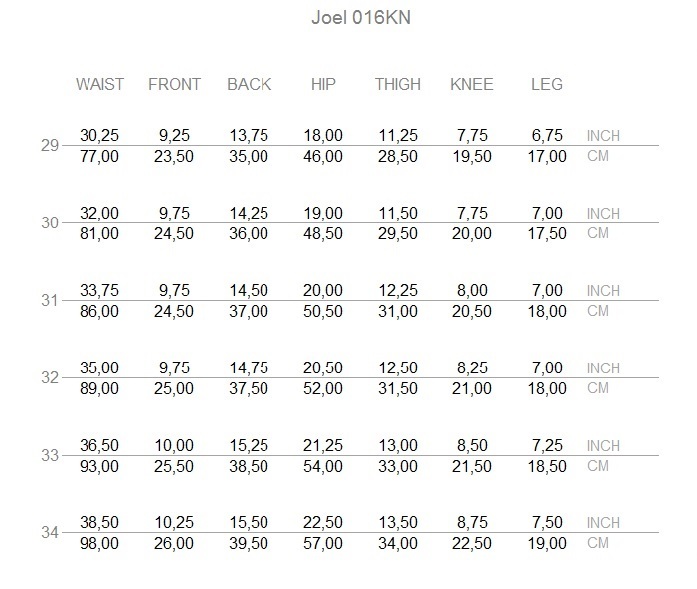 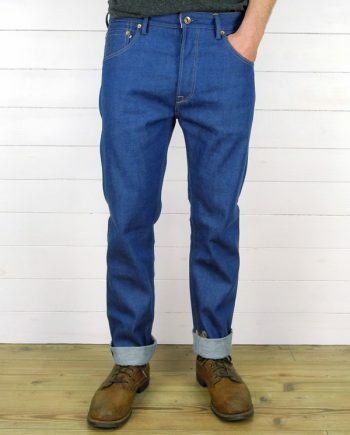 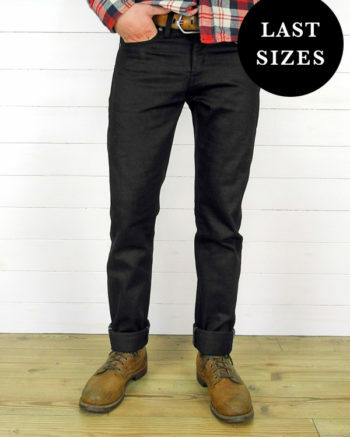 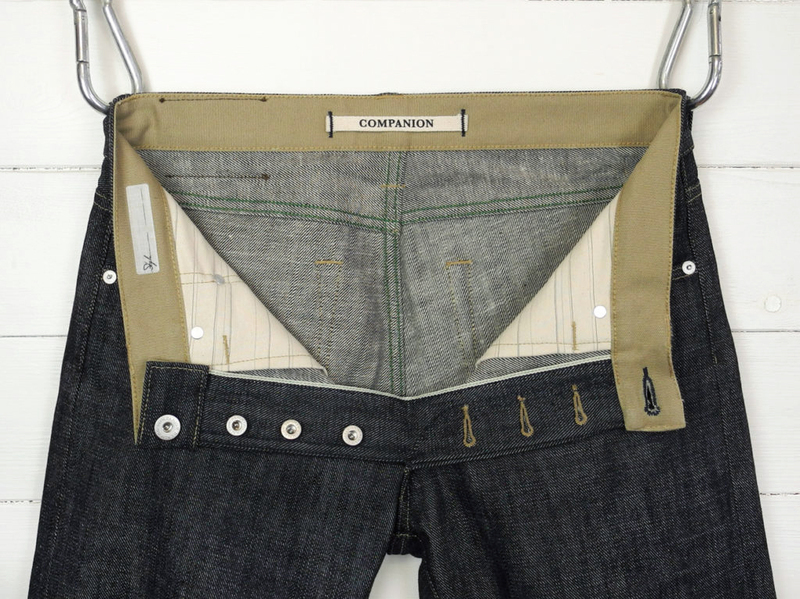 The jeans are left longer and we cut and chainstitch them to your requested measure, being 34 inches the maximum inseam length. 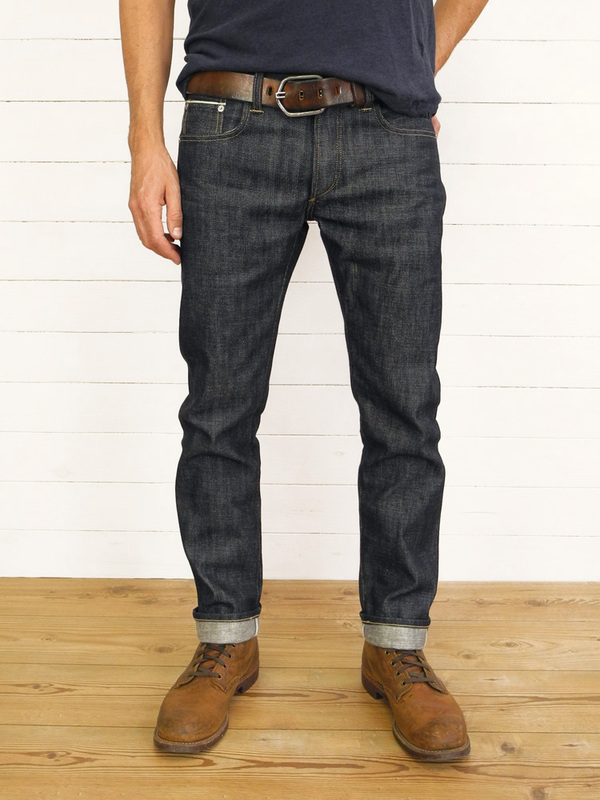 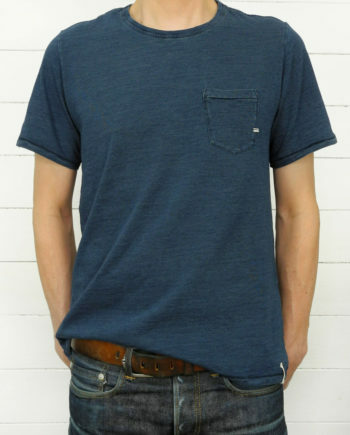 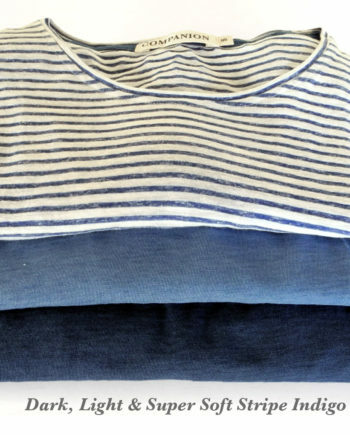 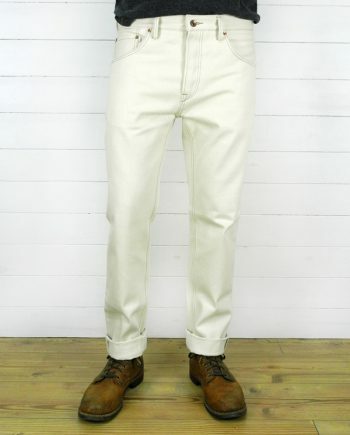 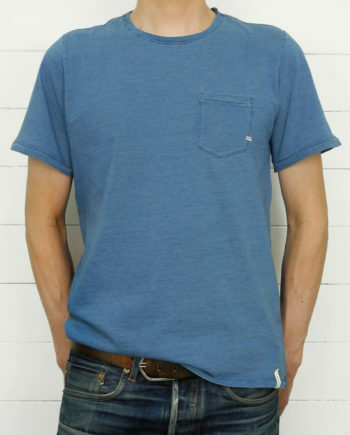 Wash the jeans inside out in cold temperature or in 30ºc maximum, without using any bleach or chlorine chemicals.